Comment: Looking for quote to lay a top coat over our existing driveway, which is approx. 20âx20â and has several larger cracks and areas that have settled. Comment: 1,668 square foot area. Existing driveway may be concrete. Not sure. Comment: Driveway to a single-car garage. Approximately 60â long. Existing driveway consists of original 2â wide strips of concrete where tires travel and a strip of asphalt in the center of the driveway. Driveway surface is not level. Comment: Existing asphalt driveway is 20+ years old. It is uneven & cracked. It is about 60-80 feet long. Comment: I'm looking for a quote to resurface the existing parking lot for 2019. Have a upcoming Association meeting to discuss. Burlington Paving Contractors are rated 4.82 out of 5 based on 23 reviews of 1 pros. 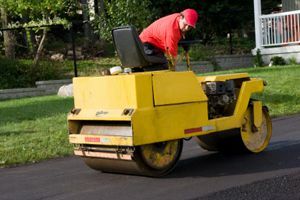 Not Looking for Paving Contractors in Burlington, VT?